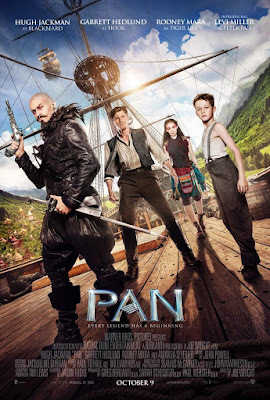 Pan as an origins story for the classic character Peter Pan, is a fun albeit bumpy ride through Neverland. 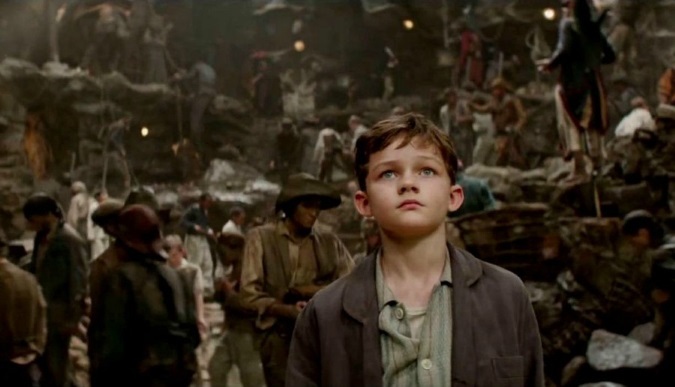 The movie because of its action and humor is more suited for boys depicts Levi Miller as Peter trying to find his mother who had abandoned him at an orphanage as a baby. Pirates led by Blackbeard (Hugh Jackman) the most feared pirate of them all, has a deal with the evil crooked head nun of the orphanage to sell orphans to the pirates for gold and goods. The beginning of the film with the young boys Peter and his friend plays out like a cross between Annie and the Hardy Boys. The latter being the curious amateur detectives not the former WWE wrestling stars. 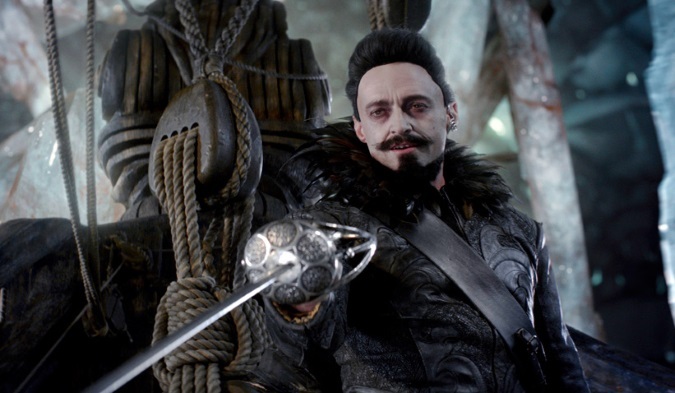 With incredible set pieces and an intriguing mystery, that is unfortunately ruin later with the appearance of Blackbeard (Hugh Jackman) and a musical score that is often out of place to the film. The stars of the show are the beautiful landscapes and effects as well as battle scenes but is otherwise ruin by cliche characters and a predictable plot. Of the film the only character that I enjoyed was the lead himself Peter Pan played brilliantly by Levi Miller. My least favorite, yes, Hugh Jackman as Blackbeard. Whether it is his appearance, dialogue or mannerisms, his character just irks me in every which way to sideways. Overall, I would recommend this film in 3D if you have young kids as a matinee. Otherwise there are much better fantasy film out there just unfortunately none in the box office currently. Instead of this, watch Jumanji instead, before they come out with the remake and ruin that as well. Hugh Jackman, please stick to being Wolverine and never don a pirate suit again. 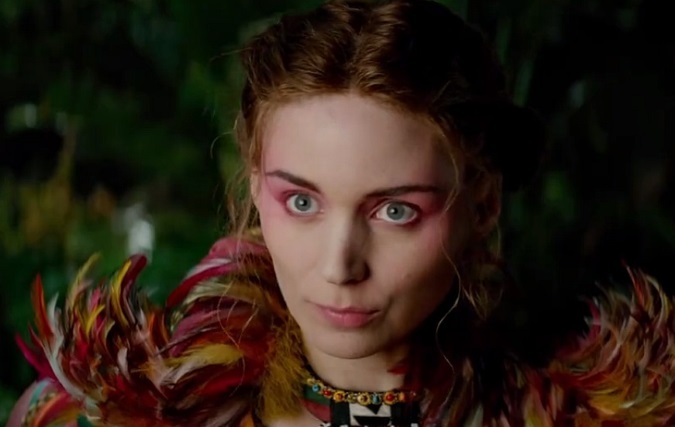 The film is not horrible, but not legendary as well as the characters of Peter Pan should be afforded.